Q. 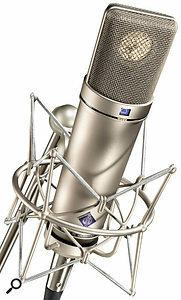 Do I need a Neumann? If microphones tend to suit some voices better than others, do I really need a high-end vocal mic rather than a much more affordable mid-priced model? I've noticed that many people mention how any given microphone will suit some voices and not others. However, they seem to make such comments more readily about the budget range of microphones, and I don't see big names like Neumann getting tarred with that brush. Is there an element of brand snobbery here? Or are mics such as those made by Neumann and Microtech Gefell designed so that they flatter everyone's voices? You may find that the Rode NT1A (left) sounds as good as a Neumann U87 on your voice. But it may not, so it's important that you try before you buy.I've done quite a few multi-microphone shoot-outs for workshop sessions that I've run, and I think that my experiences might shed some light on your question. What I've found is that vocal mics roughly divide into three categories. In the lowest band are the mics that actually sound pretty ropey on every voice. These are mostly in the sub-£150 range, and in my opinion you need to step very carefully if that's your budget, to avoid getting your fingers burnt. It's not that there aren't any respectable mics in this price range, it's just that there are many dodgy ones too. Then there is the second category. This comprises mics that sound passable on many things, great if the mic happens to suit the instrument or voice you're recording, and pretty horrid if it doesn't. This describes most of the mid-price mics I've tried, and even some of the more expensive 'character' mics. 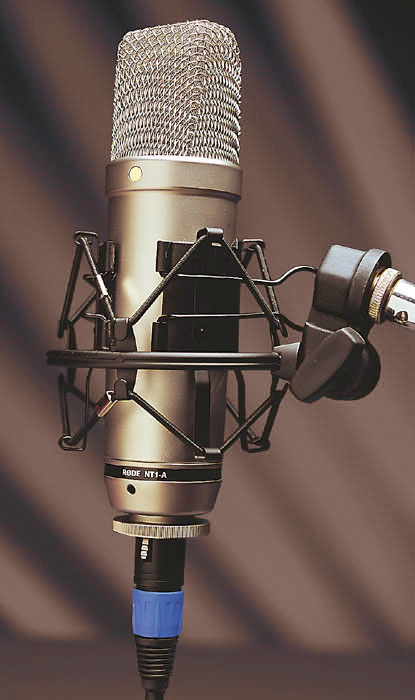 What is characteristic of this category of mic is that its sound is usually tailored in some way, either deliberately for a specific recording application, or because of design shortcomings. If you buy a mic in this category, you need to be prepared for it to sound terrible on some occasions and simply respectable for a fair amount of the time. However, if you're just recording one singer and it happens to sound fantastic on them, then you've obviously got yourself a bargain. This is why we so often recommend experimenting with various different vocal mics when you start working with a new singer. You also need to be careful when using 'category two' mics in any situation where you're likely to pick up appreciable levels of off-axis sound (room ambience or spill from other instruments), because these mics often give an undesirable tonality to off-axis sounds. The third category of mic doesn't so obviously tailor the sound, instead capturing it fairly neutrally. This is where I'd put mics like the Neumann U87 or the B&K 4000 series, for example. The technical demands of producing such mics generally make them pretty expensive. The thing about mics in this category is that they tend to sound only 'very good' (if that makes sense) when the original sound source isn't stellar. In multi-mic shoot-outs, for example, I've found that at least one less expensive mic will usually out-perform the 'category three' mics (according to audience consensus). This is because the category two mic will happen to change the character of the sound source in flattering ways — perhaps compensating for that sound's inherent deficiencies. However, what I've also found over time is that category three mics never deliver an unacceptable result. 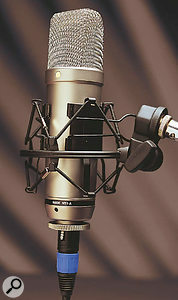 Category two mics, in contrast, tend to appear at all positions in the hierarchy, from first choice to last, depending on the particular combination of sound source and room being used. To my mind, one of the most important things you're paying for with a high-end mic such as the U87 is that they will reliably give you very good recordings every time. If the sound source you're recording already sounds fantastic, then the category three mic will tend to perform better when compared with the category two mic — it is likely to get closest to that glorious sound within the room. Furthermore, premium mics benefit from a great deal more engineering, partly developed to even out the off-axis sound. So if you're recording in a situation where spill may get into the vocal mic off-axis, then the differences between categories two and three begin to become much more apparent. There are now a lot of affordable mics that will give you a reasonable close-miked vocal recording when you work on-axis, and with a bit of acoustic treatment. However, if you put most of these mics out in the middle of an ensemble, their off-axis colorations can quickly let them down by compromising the effect of the other instruments with dodgy-sounding spill.